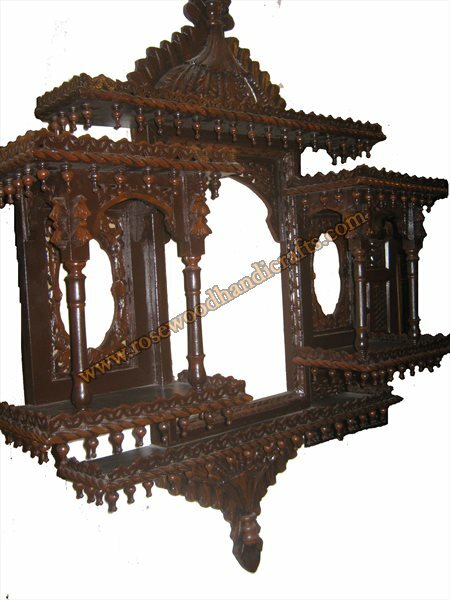 The wooden jharokha that we are offering are delicately carved with a light hand and are exquisite and antique in designs. 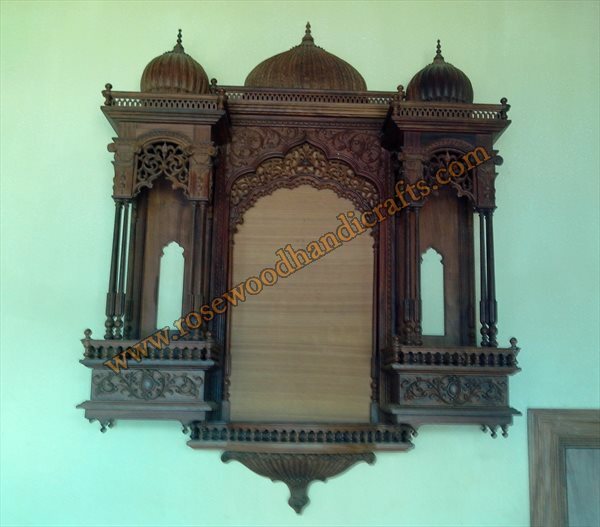 Best on your walls these will give an authentic royal look to your walls. 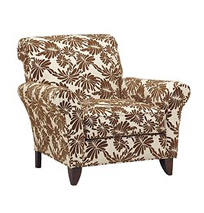 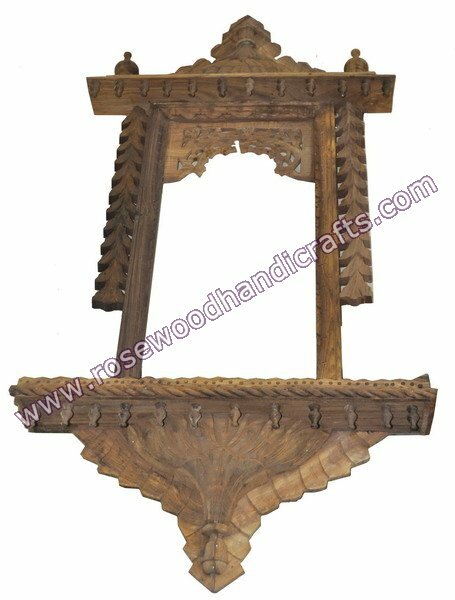 These are manufactured using the best quality wood and is carved by the best artisans. 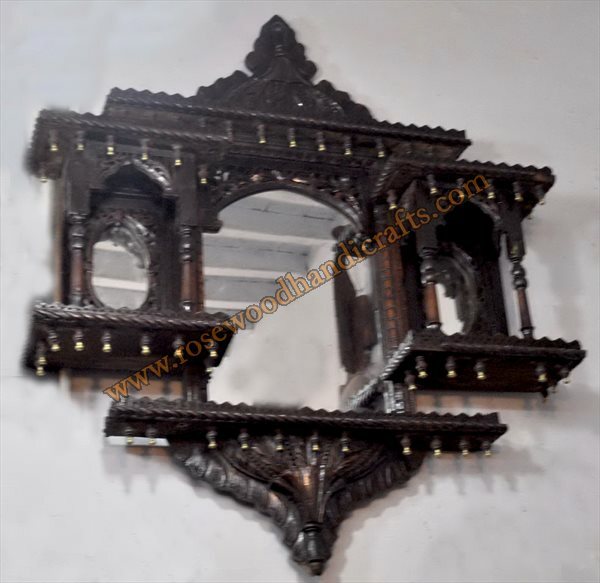 These jharokas will certainly give you a traditional feel as if you are back in those royal times. 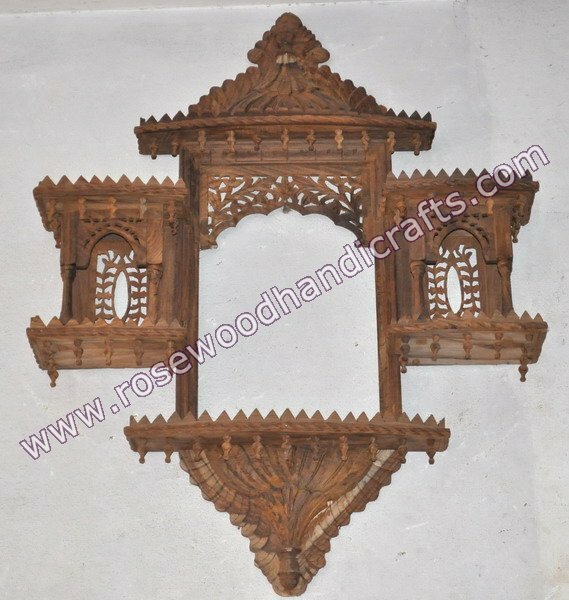 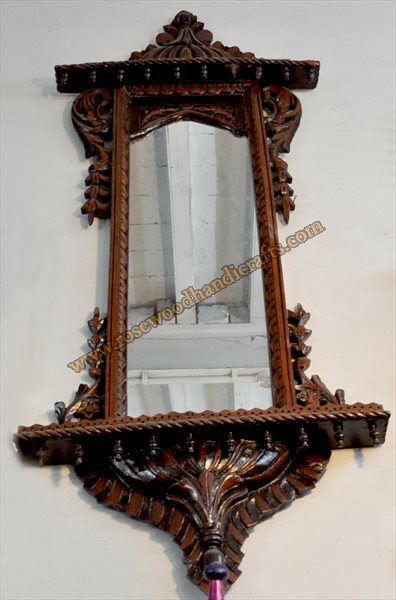 The antique wood artifact Jharokha can be easily fastened on a wall. 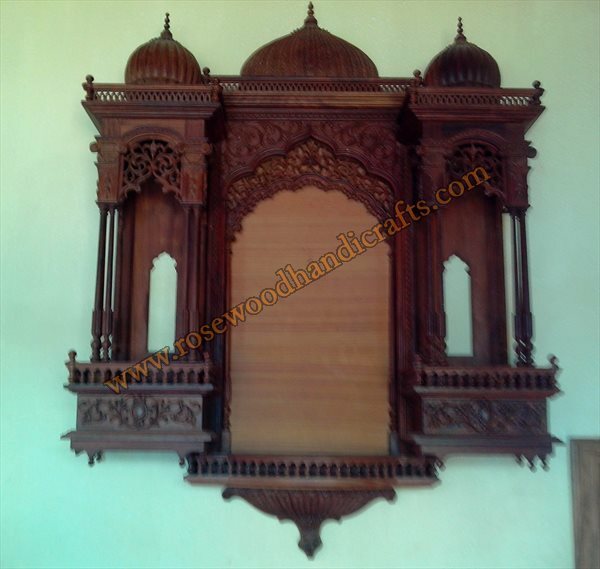 A traditional style carving also adds to its grace. 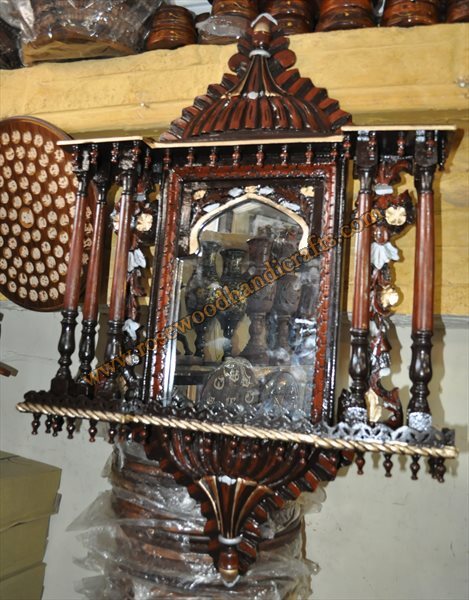 This Jharokha in wood is most interesting object of desire amongst fascinating range of Handicrafts. 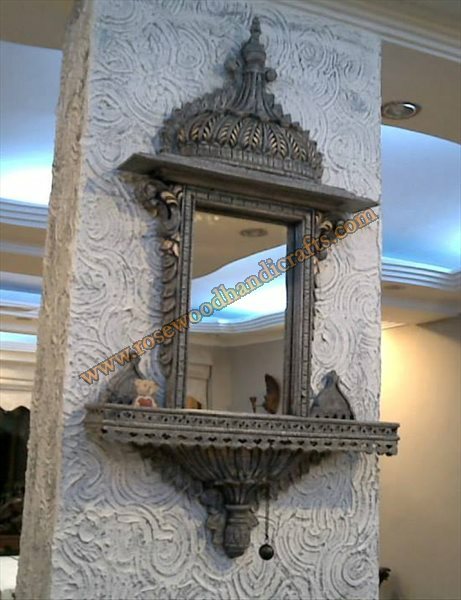 A well appreciated masterpiece for your interiors. 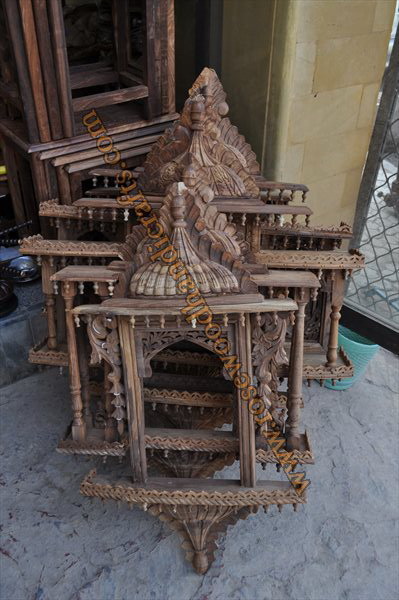 Rich Carving, embossing Jharokhas bring to mind pictures of palaces, sculptures, idols, etc.. 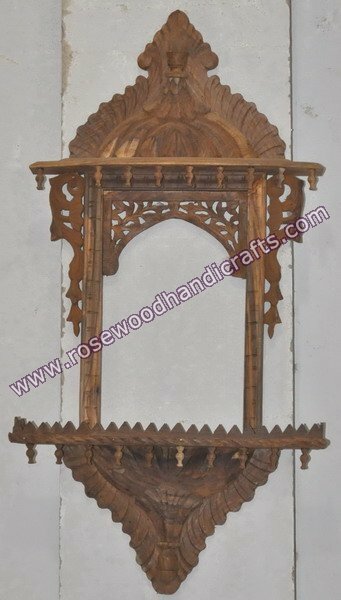 Size:: 36" x 42 "